What is Aeration Wastewater Treatment? Aeration is an important step in the process of treating wastewater, including sewage effluent. Microorganisms in aeration wastewater treatment tanks break down organic compounds and nutrients. The removal of nutrients is critical, because wastewater that is overly rich in nutrients can cause ecosystem imbalances if released into the environment. One negative effect of nutrient enriched wastewater is the development of harmful algal blooms – or “dead zones”- in major bodies of water, such as the Gulf of Mexico. Dead zones are created when algae growth proceeds rapidly due to the abundance of nutrients, especially nitrogen and phosphorus, to feed on. When algal blooms grow out of control, they deprive other organisms of the oxygen they need to survive, and biodiversity suffers. How is Aeration Wastewater Treatment Used? Due to the ecological impact of nutrient enriched wastewater, governments enforce regulation to control the amount of nutrients allowed in wastewater discharge. To comply with regulations, industrial, agricultural, and other wastewater producers must carry out treatment. 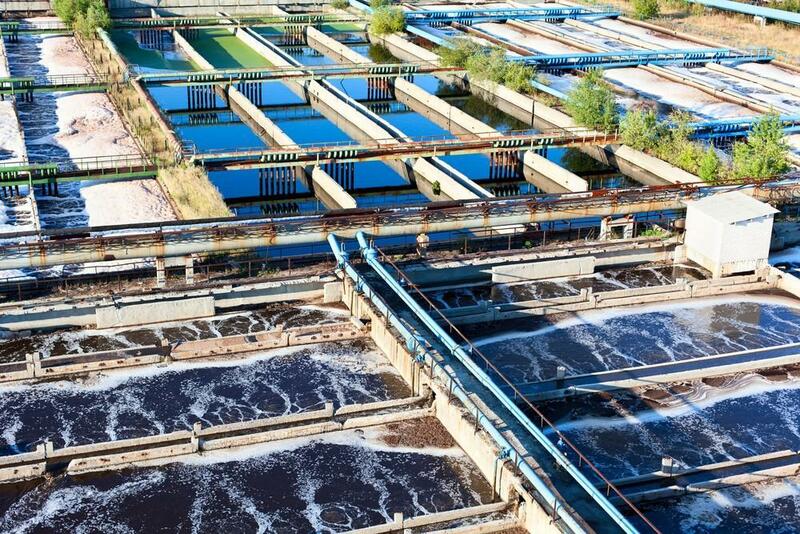 The most common type of wastewater treatment to remove nutrients is activated sludge treatment. This process begins with aeration wastewater treatment, where microorganisms are suspended and mixed into wastewater to promote the breakdown of nutrients. Aeration wastewater treatment tanks are subject to careful monitoring to ensure that nutrient removal is achieved safely and efficiently. Dissolved oxygen is a critical parameter in the aeration process, because oxygen levels in the tank impact the health of the biomass (microorganisms) breaking down the nutrients. To maintain the proper oxygen levels for biomass productivity, wastewater treatment operators utilize aeration pumps, which add oxygen to the tanks. Monitoring dissolved oxygen in the water ensures that the pumps are supplying enough oxygen for microorganisms to survive and carry out aeration wastewater treatment. It also helps promote efficiency: since aeration pumps are costly to operate, it is important to deliver enough oxygen but avoid oversupplying the tank and wasting resources. 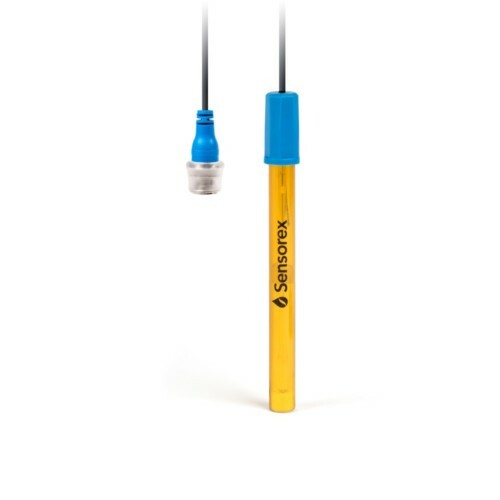 Dissolved oxygen sensors are used to collect data on the amount of oxygen in the tank, which indicates whether adjustments need to be made to the aeration pump system. Another parameter that is monitored during wastewater aeration treatment is pH. Microbial communities involved in nutrient removal survive and thrive in certain pH ranges, usually between 6.5 and 8.5. Monitoring and adjusting pH helps maintain healthy communities of the microbes needed during wastewater treatment. 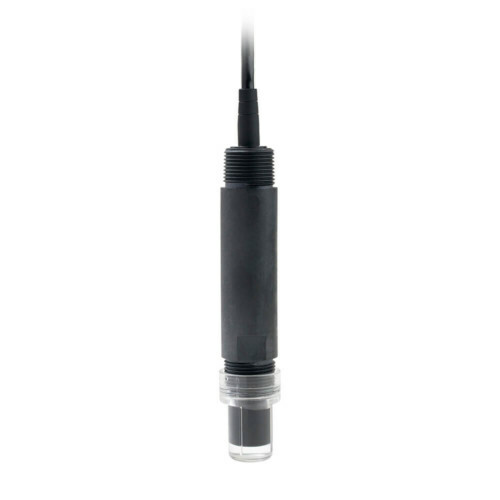 Flat surface, self-cleaning pH probes are ideal for monitoring activated sludge treatment, as the flat glass resists breakage and build-up of suspended solids.